FORM IS NOW CLOSED THANKS TO ALL WHO HELPED! Just wanted to say that this might be my last, quick post before Christmas. Things are getting down to the wire and all around our place here and what little time I had over the last couple weeks is totally gone now. That's how it is each year right about now. I just wanted to wish everyone a Very Merry Christmas & Happy Holidays! I've really enjoyed getting to know some of you and I'm looking forward to, not only getting to know each of you better, but getting to know more of you - my fellow bloggers/bookies in the new year. With the new year comes a contest here and I'm still looking for people to help me out. You can earn an extra entry and it's REALLY easy to do. The contest is open INTERNATIONAL!!! If the Book Depository ships to you, your free to enter. Follow the link and scroll down in the post to find the quick and easy form to fill out. By filling it out, and answering one question you'll earn an extra entry. One per person please. Extra entry for up and coming contest!! I hope that everyone has a great time over the next couple weeks. Have fun with family and friends. Eat, drink and be Merry!! I hope you all get some great things from Santa!! :o) Looking forward to seeing and hearing all about your holidays and telling you all about ours here. I'll see you all after Christmas. Merry, Merry to everyone. Guys, I'm looking for help with my next contest! FORM IS CLOSED! THANKS TO ALL WHO HELPED! I wanted to have another contest to send a lucky winner or 2 something for Christmas, but just couldn't come up with what I wanted to do or even what books to offer to my winner(s). In my last post I had a form for anyone to fill out who wanted to earn an extra entry to the contest early. Fill out the form for my next contest here! It's pretty easy, just fill it out with the info. I've requested along with 3 books you'd like a chance to win. See, easy. Right now I only have a few people who have filled out the form.... and I know everyone likes a chance to earn extra entries! Not to mention that this next contest will be open INTERNATIONAL! Yep, International!!!! If The Book Depository ships to you, your free to enter! Only one extra entry per person for now. There will be more info. to come. Thanks for all the help guys. Hey guys! Things have been slow around here for a couple weeks. Mainly it's because of my dad rehabing after his full knee replacement. I've been driving him to and from 3-4 appts a week and I stay there while he's at therapy. It usually takes over 2 hours and is pretty boring. Yeah, I take books with me, but you can only stay sitting and reading in those horrible Dr. office waiting room chairs for so long. He's doing so much better, which is great. He still has a ways to go yet, but he's making his way through things. Then on top of all that, it's a busy time of year without helping him. I don't think I'll be around much until after the first of the year. The hubby has off the week between christmas and New Years, so I'm sure we'll be going to the movies, hitting up sales, etc. just spending some time together. I wanted to do another contest for the holidays, but just didn't get a chance to set it up. Not even sure what books you guys would love to win. So, I'll have one right after the first of the year and wanted to give you guys all a chance to let me know what books you'd love to win. I'll make it all worth your time. If you fill out the form below you'll get an extra entry into this next contest. Like the idea? The contest will be open INTERNATIONAL! Yep, you heard that correct! If The Book Depository delivers to you, then you can enter. One extra entry per person please. Please don't leave your email address in comments. It's a privacy thing for your safety. If you have any questions, please let me know! Synopsis: Zara and her friends knew they hadn't solved the pixie problem for good. Far from it. The king's needs grow deeper every day he's stuck in captivity, while his control over his people gets weaker. It's made him vulnerable. And now there's a new king in town. Review: 4.5 stars - Wow, what can I say about Captivate? In my opinion this next chapter in the series was even better then the first book - Need. It was really a great read, which I enjoyed from the first page and hated when it was over. Captivate picks up a couple months after Need left off. (I won't give away anything else of the story so, don't worry for the rest of the review.) It makes feel like you haven't missed a thing. The characters were the same, yet different in their development. I felt that I still knew who each of the characters were, yet the writing really did shine in allowing me to see just how much they had all grown from the first book. Some of the characters had to deal with some major issues and I was really able to see each of their struggles and joys with the choices they made. I didn't know exactly where the story was headed from beginning to end. There were some great shocking parts throughout and I always love it when a story keeps me guessing. The new characters were the perfect addition to the story and will no doubt lead to many more choices for each and every one. With the new and interesting characters and lets not forget about all the lore that was introduced, fit like puzzle pieces into Zara's story... and will only add to the next book. I can't wait to see just where the author takes her characters, the story and us next. The ending left things open to where things for the characters could go. This is one that I'll be reading again. It was one of the better books I've read so far this year. I can't wait for the next book; I hope that Carrie Jones is writing away on the next book. FTC Disclaimer: I did not pay for this book, nor have I been compensated at all in any way or means for reading and writing this review. In My Mailbox, is brought to us by Kristi at The Story Siren Thanks Kristi!! Thanks it for me for the last two weeks. Things should be slow book wise for me until christmas. Maybe I'll get some surprises in the mail between now and then... I'll keep my fingers crossed. What did you guys all get? 2010 100+ Reading Challenge also hosted by J. Kaye's Book Blog. You can find out more info and how to join in on this challenge here: 100+ Reading Challenge. This list will be updated as I read books throughout 2010. Links open to my reviews. Note: If it's listed, it's been read. Anything without a link needs to be reviewed and a link will follow. OR if you see an (*) it's been read and not reviewed on my blog. Hosted by J. Kaye's Book Blog. 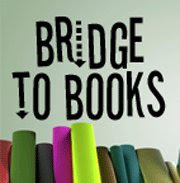 Find out more info and join in on all the fun here: 2010 Young Adult Reading Challenge. 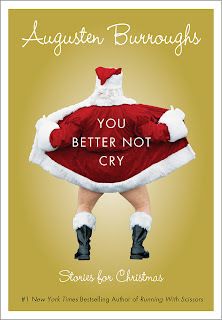 This post will be updated as I read books throughout 2010. Note: If it's listed, it's been read. Anything without a link needs to be reviewed and a link will follow. 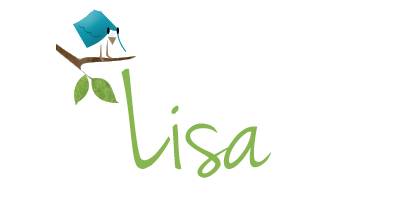 The 2010 Debut Author Challenge is hosted by Kristi over at the Story Siren. The rules are easy, but you can get a full run down and addtional info here: 2010 Debut Author Challenge Info. And you can sign up for it here: 2010 Debut Author Challenge Sign Up Info. I'm adding a couple books that I really want to read. They will be highlighted once I've read. I'll continue to add to the list as I find new and exciting books. Books are listed in no particular order. Links open to my reviews. And many others. Checkout my 2010 Debut Author List on Good Reads HERE. It's added to often, so keep checking back. So, I figured I'd take part in a couple reading challenges for next year. Here's the first one and it's Hosted By: J. Kaye's Book Blog. 2010 Young Adult Reading Challenge - Stepping it up 50 Young Adult Novels. I'm sure I'll read more then this and if that's the case I'll change it up. I'm going to follow Kari from A Good Addiction's lead and not add the books until I've read them. Way to many books to be read and way to many books coming out. Another challenge I'll be doing is the 100+ Reading Challenge. Also Hosted By: J. Kaye's Book Blog. And again I'll add books as I read them. I'll be adding a link for both of these challenges once I get them started. You'll be able to find the link in one of my sidebars. These should all be fun! I was awarded the Honest Scrap Award from Peace Love & Pat! Thank You, Thank You, Thank You or this award!! The rules are easy. You have to list 10 honest things about yourself and then pass it on to 10 other honest bloggers. 1. I love to bake, but would rather not cook. Give me some cupcakes or a cake to decorate anytime over cooking any meal. 2. I'm a cold weather person. I love the rain, doom and gloom weather over summer and heat. Heat and I don't get along. Never have, never will. 3. I like to be alone and very much am a person who loves to be at home. I tend to stay away from large groups of people. Going to Disneyland at the height of summer is a double No for me. Heat and large crowds... even thinking about it makes me want to cower in the corner. 4. I met my husband on the internet. In a yahoo chat room. Weird, but true. We've been together for 9 years, married for 8. 5. Being that it's christmas time and all, I might as well admitt that I'm a crazy for christmas person. I love everything from the lights to the tree to wrapping to the music to... well pretty much everything. 6. When I'm here, I miss Liverpool, when I'm in Liverpool I miss So. Cal. I even love the area of Liverpool that my husband's from. It's not the best area, but it has felt like home from the first day I arrived there. Now, to figure out where we want to live... here or there. 7. I can get annoyed sometimes to easily. 8. I can't walk around barefoot on cement or grass - sometimes even on carpet. It's like fingernails down a chalkboard to me. 9. I use to draw portraits. I haven't picked up a pencil and pad of paper in awhile. I miss it. 10. I'm scared of Moth's. Yep, Moth's. Spiders, not so much... moth's make me scream and run like the girl I am. 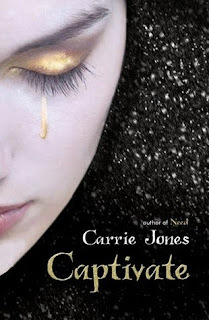 Still reading Captivate by; Carrie Jones. Not because I don't like it... I'm LOVING it actually. Just real life is sitll in my way of reading these days. I hope to have this finished later tonight or tomorrow. "Is that because you're red?" "Huh? How do you know I'm red?" St. Martin's Press is having a Sweepstakes! So, enter to win a your copy from St. Martin's Press today!